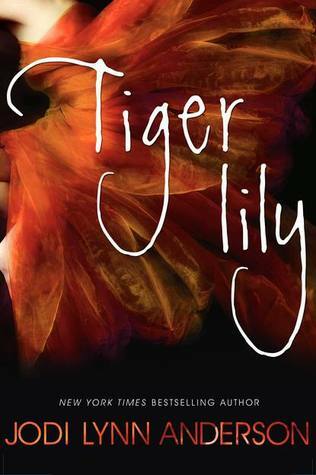 15 year old Tiger Lily, proud and fierce, wild and misunderstood, doesn’t believe in love stories or happy endings. Then she meets the teenage Peter Pan in the forbidden woods of Neverland, and immediately falls under his spell. Peter is unlike anyone she’s ever known. Impetuous and brave, big-hearted but hard to reach, he both scares and enthralls her. As the leader of the Lost Boys, the most fearsome of Neverland’s inhabitants, Peter is an unthinkable match for Tiger Lily. Soon, she is risking everything – her family, her future – to be with the haunted, hunted, courageous boy who loves her. When – as a punishment for her rebellious ways – she is faced with marriage to a terrible man in her own tribe, she must choose between the life she’s always known and running away to an uncertain future with Peter. With enemies threatening to tear them apart, the lovers seem doomed. But it’s the arrival of Wendy Darling, an English girl who’s everything Tiger Lily is not, that leads Tiger Lily to discover that the most dangerous enemies can live inside even the most loyal and loving heart. Guys. I have NO IDEA how I am only just hearing about TIGER LILY by Jodi Lynn Anderson RIGHT NOW. Because honestly, there’s very little I love more than a retelling of a classic story, ESPECIALLY when that retelling mines other, completely different characters to lead the story. It helps me to have a more complete understanding of the world, the story, everything. And guys? Could there BE a more awesome-sounding thing than Peter Pan told via Tiger Lily, Indian princess and Captain Hook kidnap victim? I submit that NO there is not. I think this whole idea is the business, especially because there seems to be a love triangle between Tiger Lily, Peter, and Wendy. Now, sometimes triangles make me cringy and frustrated, but I think that this is one I can get behind. Mostly because I am JAZZED to be inside Tiger Lily’s head. She was a firmly secondary character in the versions of Peter Pan that most people know, so I can’t wait to hear her version of events. Also, Peter Pan as a love interest?! WORD. 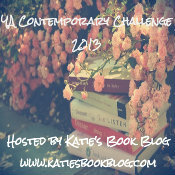 TIGER LILY is coming out July 3, 2012 from HarperTeen.